Some of the most fun styling I have seen is when hats are used in decor. Naturally they are often placed in the entryway on hooks and are thrown there very naturally...other times they are really used as decor like in the dining room in the picture below. I don't just like them because of what they look like, although they look great...it is more what they represent. 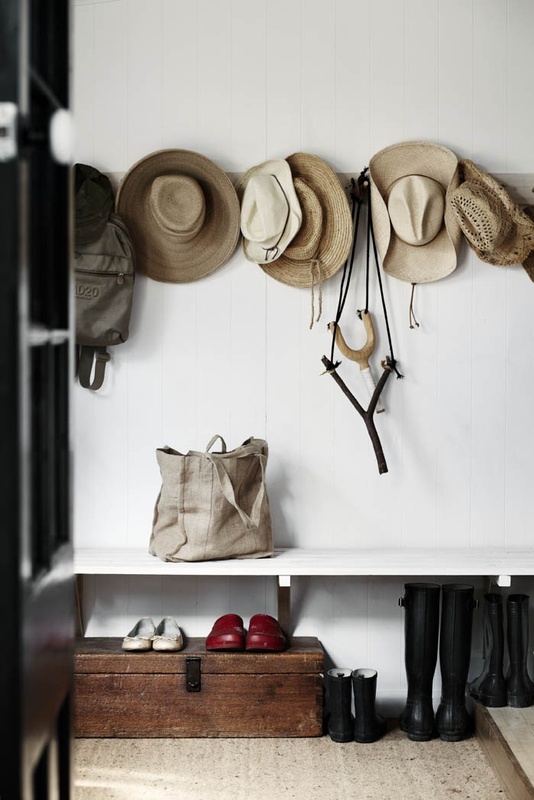 It makes me think of being outdoors, being in the sun, rain or even in the cold when you see a warm wool hat as you make your way into the house. It is really about warmth, fun, and style! They give a wonderful, natural feeling to a room and of course they are super practical to have hanging around!